The following news has been announced today: (source: hollywoodreporter.com & thanks to @Sneak_Peeks on Twitter) There is a The Woman in Black sequel coming, but Daniel won't be a part of it this time (if he will be in it, it will be a small part anyway, read more about that & the storyline below) but it's interesting information for everyone who liked the first film.. The revamped legendary British production label Hammer, Alliance Films and Cross Creek Pictures are to team up with novelist Susan Hill on the proposed story that will pick the tale up 40 years on. The Woman in Black, directed by James Watkins has become the highest grossing British horror film of the past 20 years, grossing over $33 million in the UK. and recently crossing the $120 million box office mark worldwide. Hammer president and CEO and vice-chairman of Hammer parent company Exclusive Media Simon Oakes, Exclusive co-chairmen Guy East and Nigel Sinclair said Hammer and Talisman are teaming on the development of the follow-up. The Woman in Black was set in the early 1900s and detailed the story of a young lawyer who is ordered to travel to a remote corner of the UK to sort out the papers of a recently deceased client. In the eerie setting of Eel Marsh House he discovers the vengeful ghost of the title. The next instalment, will pick the story up four decades later and focus on the concept of a couple and the experience they have when they encounter the haunted setting of Eel Marsh House. It will be produced by Exclusive Media, Talisman, Cross Creek Pictures and Alliance Films, in addition to Roy Lee of Vertigo Entertainment, who will serve as executive producer. Daniel Radcliffe travaillera dans le nouveau film? 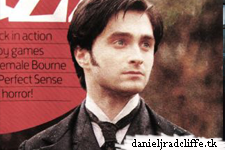 daniel radcliffe will work in the new film ? damage would have been nice if Daniel was in the movie.